Learn the ins and outs of being a real pro in the kitchen with this cooking-based magazine program created and hosted by Gordon Ramsay, the acid-tongued culinary wizard turned reality television star. Learn the ins and outs of being a real pro in the kitchen with this cooking-based magazine program created and hosted by acid-tongued culinary wizard-turned-reality television star Gordon Ramsay. 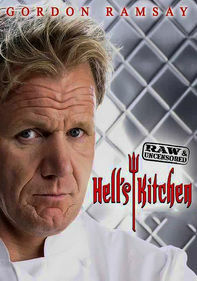 In addition to mentoring a group of amateur cooks through the trials and tribulations of preparing a three-course meal for a restaurant full of discerning diners, Ramsay shares some of his favorite recipes and hosts a weekly celebrity cooking challenge. Undaunted by celebrity chef Gordon Ramsay's acid tongue or the culinary challenges they'll be forced to tackle, a new group of amateurs takes to the stoves each week to try to tickle the taste buds of diners at Ramsay's London restaurant. 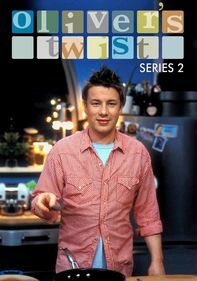 Season 2 of the cooking series also features celebrity cook-offs, the adventures of Trinny and Susannah (Ramsay's garden-raised pigs), a slew of shared recipes and lots of Ramsay's trademark sharp commentary. 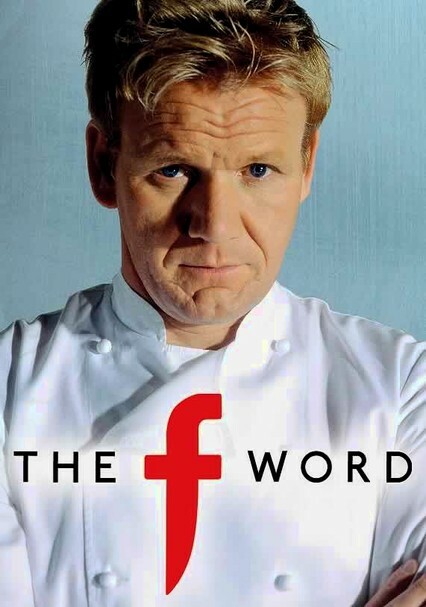 Hot-tempered British chef Gordon Ramsay stars in another season of this hit series that features the contentious cook inviting teams of homemakers, firefighters and other amateurs to compete in the kitchen of his F Word (F is for food) restaurant. 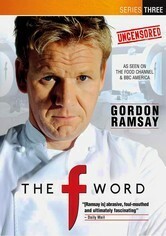 Throughout the season, Ramsay also raises two lambs for eventual slaughter and takes on recipe and cooking challenges from actress Dawn French and other celebrity guests. 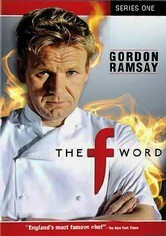 Chef Gordon Ramsay wages cooking warfare against soap opera star Wendi Peters, comedian Paddy McGuinness and other celebrities in his popular F Word restaurant. Ramsay also goes on a boar hunt and raises two veal calves for slaughter. 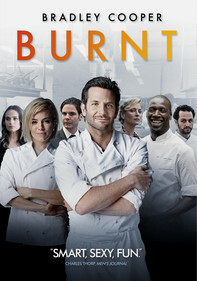 Parents need to know that this is more a reality show than it is a cooking show, so viewers looking for useful how-to's from world-renowned chef Gordon Ramsay will be disappointed. 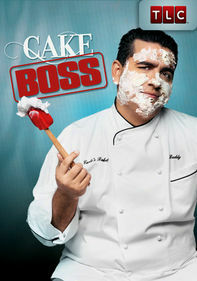 The focus is rarely on his skills in the kitchen, instead playing up his animated personality and giving him a forum for his occasional foul-mouthed rants and penchant for hob-nobbing with the celebrities who dine in his restaurants. A cast of experts discusses various health and diet topics facing the food industry. Euphemisms and innuendoes are common. 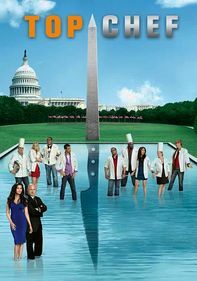 In one scene, men and women discuss food's effect on sperm count, so terms like "scrotum" and "testicles" are used. 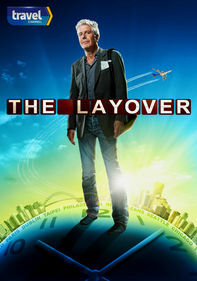 Some episodes refer to the killing of a family's pet turkeys for Christmas dinner. 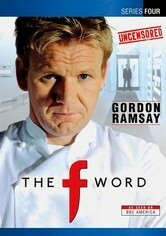 Frequent uses of "f--k" are bleeped. "Christ" and "damn" (unbleeped) are also common. 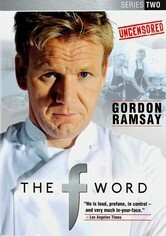 As a mentor, Ramsay is often impatient and can be cruel with his critiques. 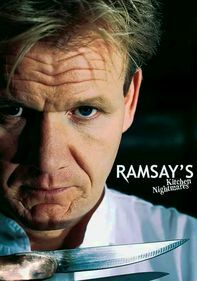 Ramsay's restaurants obviously get a lot of publicity from the show. The show is set in a restaurant, so alcoholic beverages are prevalent among the adult diners.